A classically trained saxophonist, clarinetist, and flautist, Eric Dolphy expanded the boundaries of improvised music in a way no one has yet been able to match. He was exploding Bebop harmony from within -- though his music sounds atonal, he considered everything he played to fit within the chords of the piece. This approach, combined with his unusually sensitive ear and keen, angular tone, led to a wholly distinctive style unlike anything before or since. 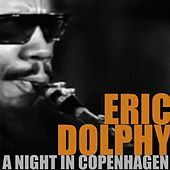 Dolphy's brilliance led many top-notch bandleaders to seek him out as a sideman; his credits include Ornette Coleman, Andrew Hill, and Oliver Nelson. He toured and recorded extensively with John Coltrane and Charles Mingus as well. In 1964, he recorded as a bandleader with the Blue Note label, releasing the Out to Lunch! album. That same year, his sudden death from diabetes shocked the jazz community. 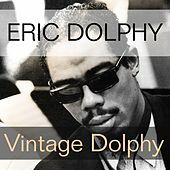 Dolphy's unique voice continues to inspire the contemporary avant-garde.